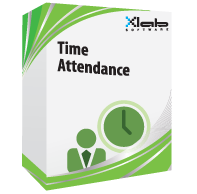 provides a world-leading comprehensive, scalable and flexible solution to Time & Attendance that can operate either as a stand-alone system or part of a fully integrated suite of workforce management which seamlessly interacts with the scheduling module and Task and work management. Time & Attendance is frequently interfaced to other key corporate systems including ERP, HR, Payroll and Financials to be an integral element of the corporate systems strategy and execution. Using this system you can track your employees in time and out time by just a finger print or RFID cards. It automatically handles all the activities like storing information in database which maintains information like fingerprint stamp, Full Name, Job Description, Supervisor Name, Validity and Customizable shift timings etc and detection of any unauthorized entry and also generate the reports like how much days particular employee was absent or how much hour that employee has worked based on the stored database just by clicking generate reports as per your requested date.